Jill and I baked this recipe together because we were both in the mood for some whole grain baking and we both love hummus. This recipe bakes a delicious loaf of bread. 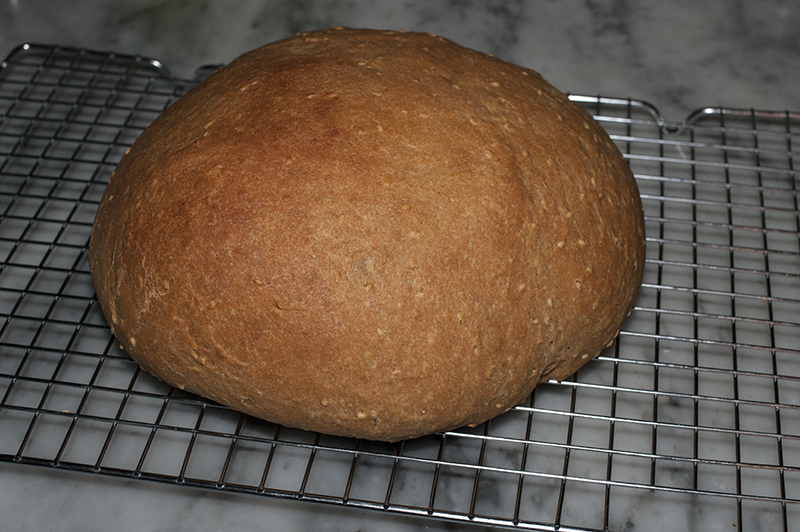 It's a little on the denser side as whole wheat breads tend to be, but that being said it's very tender and very moist. And it lasts for several days still staying soft and yummy. It's a recipe that I definitely want to make again. I chose to make a round loaf just because I like the look of them, but this recipe works perfectly in a regular bread pan. Please visit Jill's blog to see her awesome bread. I almost forgot--you can find the recipe here. I used regular canola oil instead of garlic oil which sounds a little gross to me for some reason. Your round loaf looks great! Thanks for suggesting this one - it was great and I never would have made it otherwise.